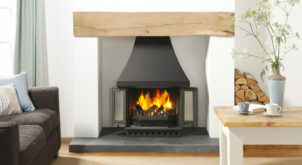 The Dovre blog keeps you updated with our latest special offers and promotions, new product releases, brochure updates and general advice and information on our stoves, fires and fireplaces. Hygge, what is it and how do you welcome it into your interior? Our Interior Stylist, Hannah Stone takes a look at the Danish concept of Hygge and how you can bring it into your life by making simple changes to your home environment.